"Tripp" Estes is a third generation attorney who has lived in Fayetteville his entire life. After graduating from The Sam M. Walton College of Business at The University of Arkansas, Tripp completed his education, obtaining his Juris Doctor at the University of Arkansas Law School. For over a decade Tripp has represented a variety of clientele in cases ranging from family law to Corporate Litigation. Regardless of the type of client or nature of the case, Tripp has worked relentlessly, providing exceptional legal services, knowledge and expertise both in the Court Room and out. In 2012, As a result of his success in the field of law, Tripp was selected as a member of the "The National Trial Lawyers Association Top 40 Under 40". This award recognizes Tripp's achievement of a standard of excellence in the legal community, and honors him as one of only 40 trial lawyers from the State of Arkansas to be chosen for membership into the Top 40 Under 40. Please review what Tripp's previous clients have to say about his representation. "When my ex finally did the unthinkable and tried to take my daughter away forever to California, I did not have to think twice about who I wanted on my side. Tripp knows the law. Tripp has a moral center and compassion for his clients. Most importantly, Tripp has character. 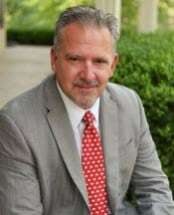 He has a firm understanding of what is right, relationships and connections within the local legal community, and the expertise to make sure children of divorced parents get a fair shake. If you are fighting for what is right, you could not do better than to have Mr. Estes by your side. Did I mention I feel blessed to have found Mr. Estes? I mean that with all my heart." "Tripp handled a custody suit for my mother and he was very organized, patient, concerned, and caring. He is additionally very good in the court room. There are a thousand lawyers in the phone book and it's confusing on who to chose but if we had it all to do over again we would chose Tripp."